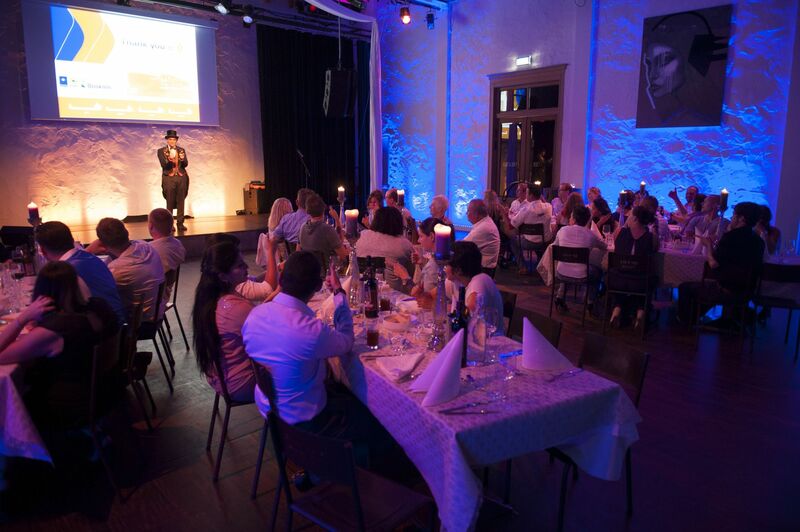 Theater dinners are an amazing opportunity to spoil your employees or international guests in an exclusive and culinary way. The setting is one of a kind: the tables are laid out luxurious and cozy, with lots of votives and candles. The room is beautifully lit, there is aromatic wine and a special dinner , while you’re entertained by artists from all around Europe. Dancing, singing, acrobatics, magic and music combine to give your group an unforgettable experience. Also very well suited for international groups.